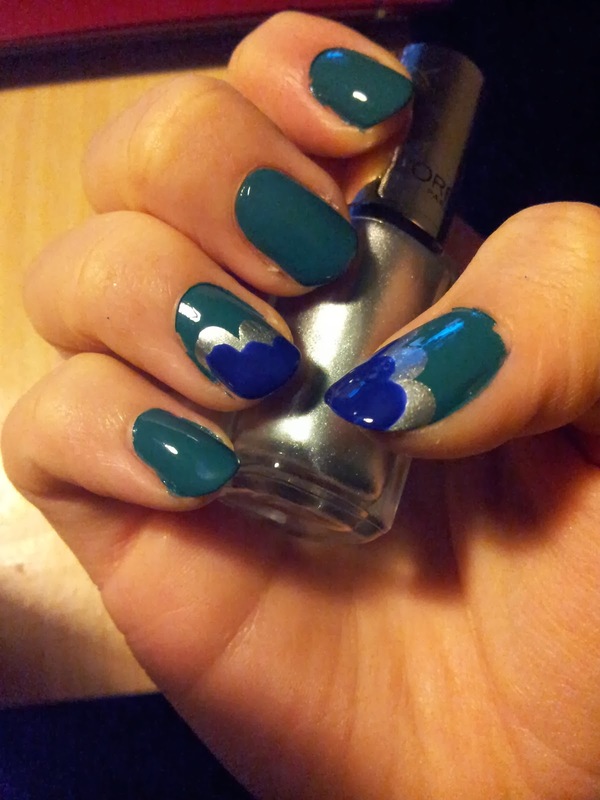 So I've done perfume, it's now on to nails. 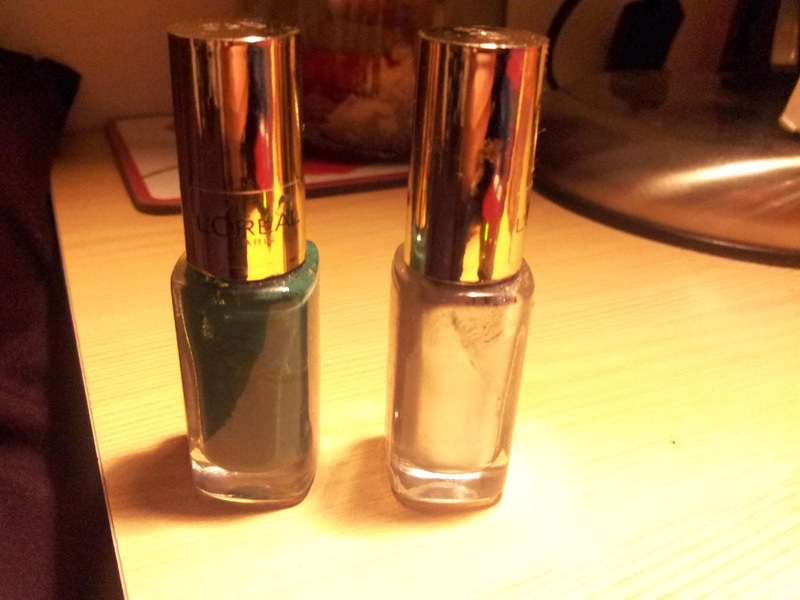 First up two from the L'Oreal Color Riche range, Blue Reef and Sublime Platine. First off I apologise for my lighting, I only have a basic lamp installed in my room right now. And with that out of the way I move to the formula of these two: not too thick but opaque enough to get away with one coat if you so wish, I would always advise two for good measure. The added bonus with these is the built in top coat, which means if you're feeling lazy (or in a rush) you can skip out on your top coat. Personally top coat is a must in my world (still searching for 'the one' sadly). The L'Oreal brush is gorgeous in these and is a huge bonus in the painting process, picking up a good amount of polish and distributing it evenly. Colour payoff was good too and similar results to what it looked like in the bottle. I will say that upon drying Blue Reef darkens to more deep green than blue tint but still a fantastic workwear colour in my opinion. Because you can get away with one coat if need be, the drying time is not as long as I'd expected, and so I partook in some nail art. 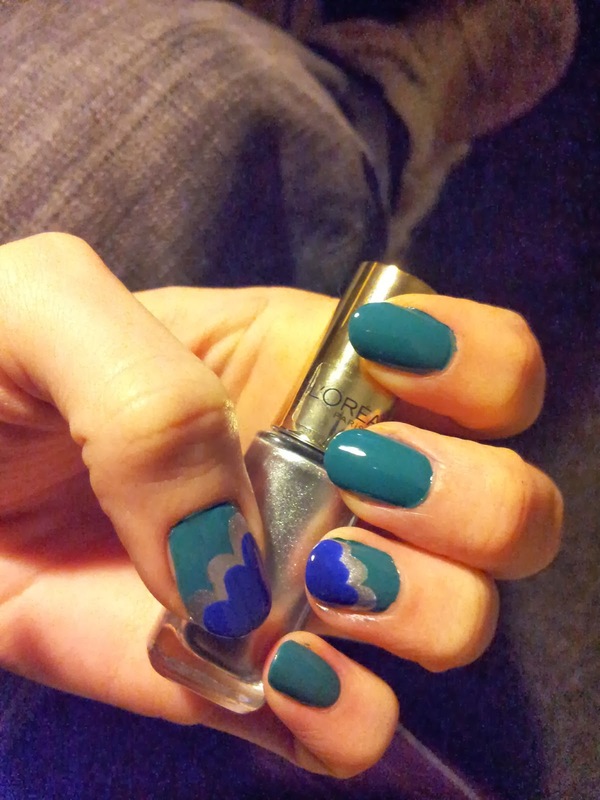 Utilising a gloriously simple tutorial from The Nailside, which can be found: here , I was able to create these beauties. The third colour is Barry M 312 Indigo, which I will review at a later date. Did I mention how much I love Sublime Patine; superbly metallic and as true to an actual silver as I have ever found. Brilliant for those wanting a base for glitter polishes or as an eyecatching solo manicure. All in all a good showing from these two little bottles! I do need to try more of the Color Riche range, especially the infamous Confetti, but so far so good! Additional points for being a good price too, only £4.99 from Boots. Top tip: if you're finding your polish settles in the grooves around your nails then make use of a cheap artist's fineliner brush dipped in acetone to clear away excess pools.